While surfing through interior decor websites, or going through glossy housekeeping magazines, we come across the best and beautiful home decor pieces that are attractively decorated to catch our attention. 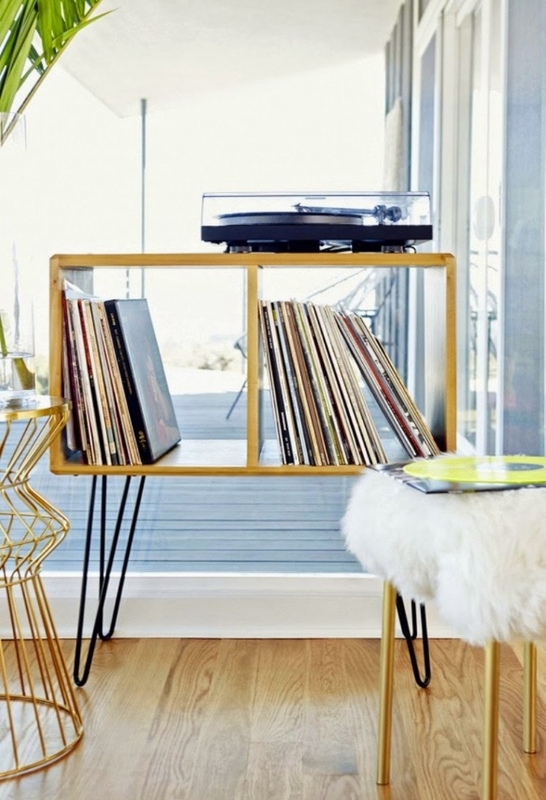 But, unfortunately, if you are a recent college graduate or a fresher at your job, these interior decor pieces turn out to be heavy on the pocket. We here at DesignTrends firmly believe, money should not be the reason to stop yourself from pursuing your interests, be it decor or dreams. As decor is the topic of discussion, we today, want to share with you 10 affordable and budget boosting DIYs that you can easily try at your home without disrupting your savings. 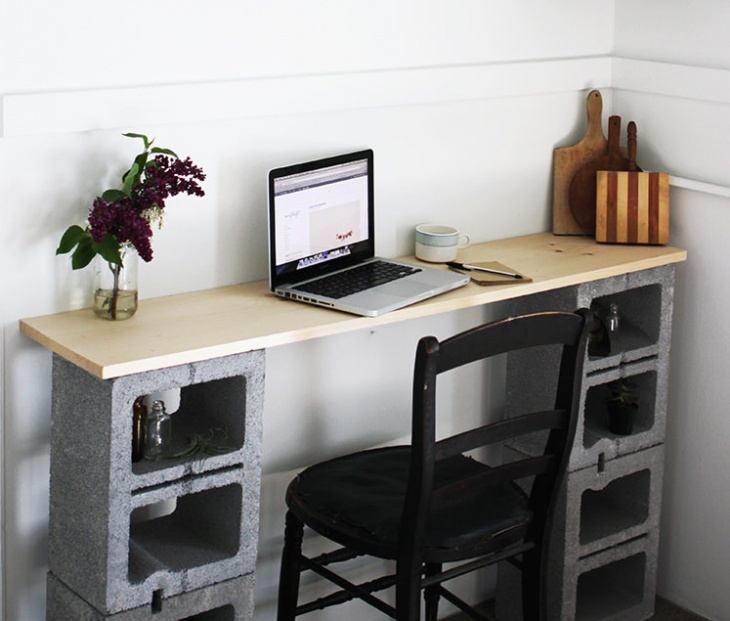 A cinderblock nightstand is an idea worth a steal. Even if you have money to spare for a night stand, the cinderblock nightstand is a worth a try. An easy and creative addition to your bedroom. Trust us, the nightstand will surely gain the best compliments. You can create a more refined look, by painting over it or just leave it as it is. 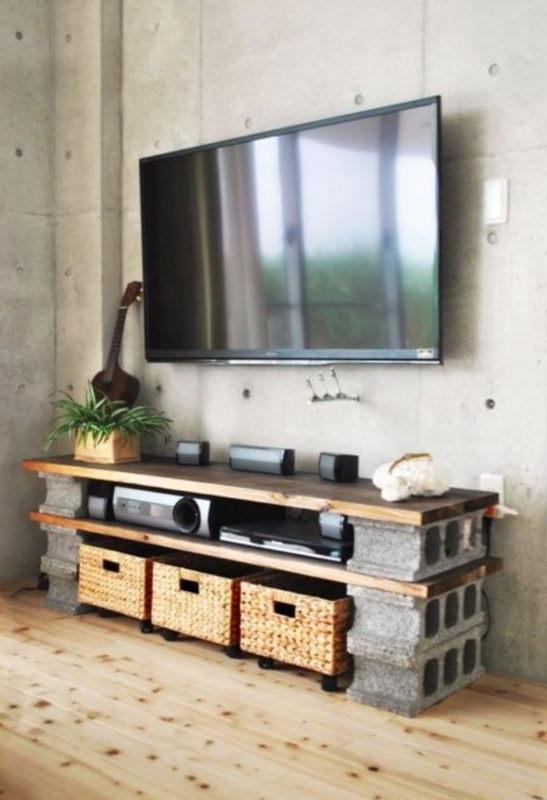 Cinderblock can also be used as a TV console. Stack a wooden plank over the cinderblock and you are done. You can not only place your television set over the wooden plank but also keep your small decorative items. 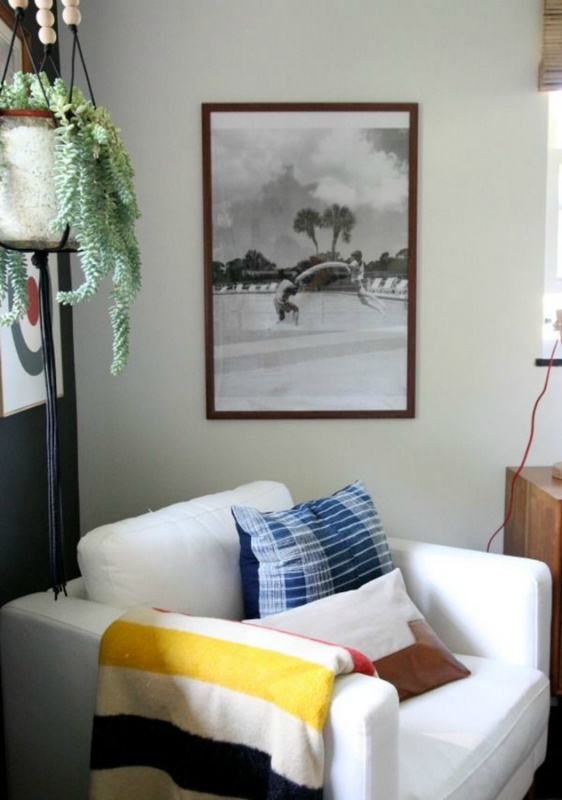 A photocopy paper art is one of the most unique and affordable ways to decorate your walls. If you don’t have a fancy artwork then this can be your personal addition to beautifying your place. The advantage of photocopy paper art installation is you don’t need to strive for perfection, just enjoy and be as playful as you wish. 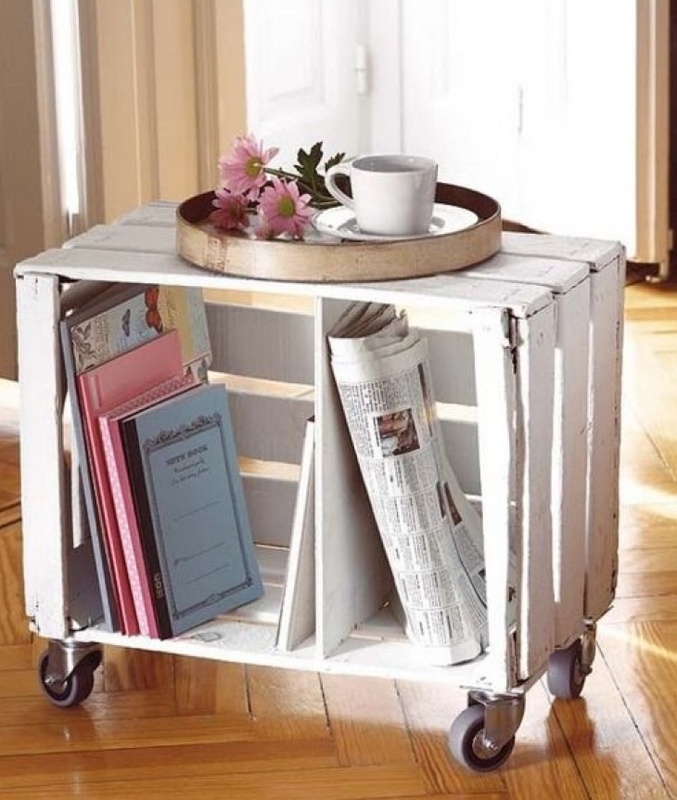 You can convert the milk crates into tables with the help of hairpin legs. 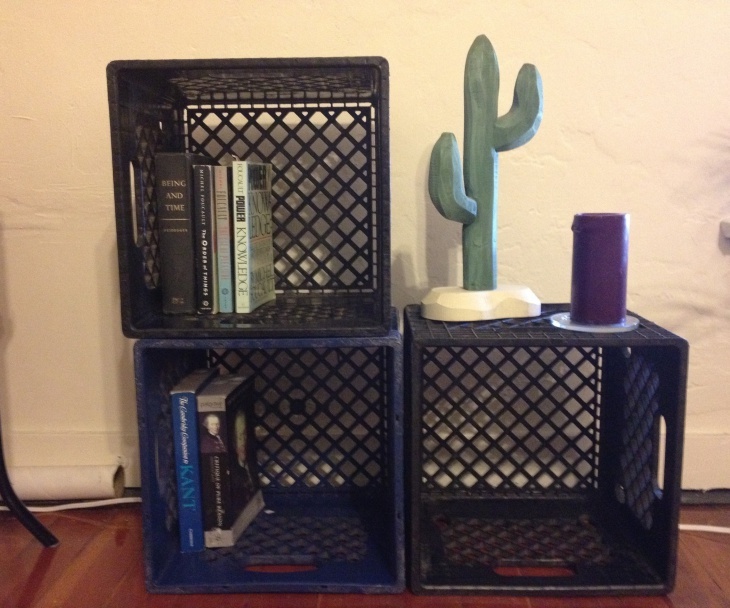 Milk crates are easily available and you don’t have to spend much to acquire one or two pieces for your home. Yes, there are fridge magnets, but for an experimental look, you can decorate your fridge with duct tape. 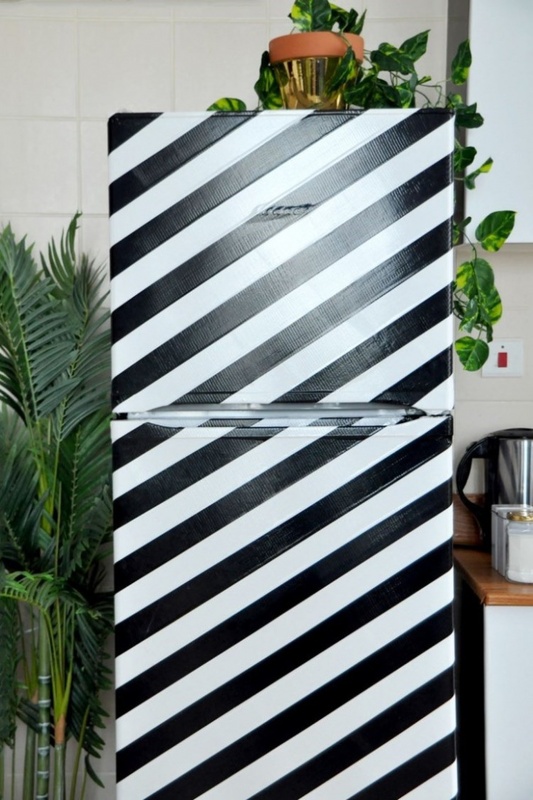 Duct tape might sound like a weird idea for decorating your fridge, but unless your refrigerators are the precious Dolce Gabbana refrigerators, there is no harm trying :p. You can choose the pattern and design as per your own preference. 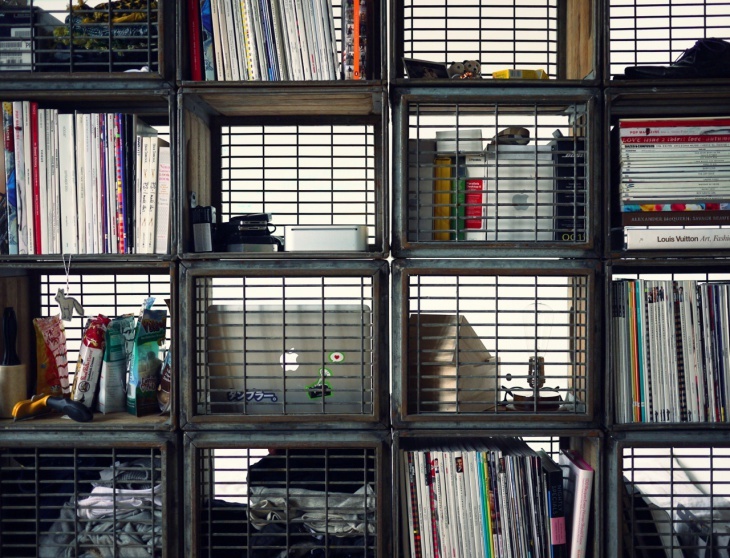 Another decor idea to achieve with the help of milk crates can be to stack them between your bookshelf. They will help to store your books or magazines in large quantity, and also help to create sections for your reading material. If you are looking for some decent and affordable sofa designs for living room, pallet sofa can be a great option. You can add a comfortable cushion and some bright colored throw pillows to make the look interesting and vibrant. 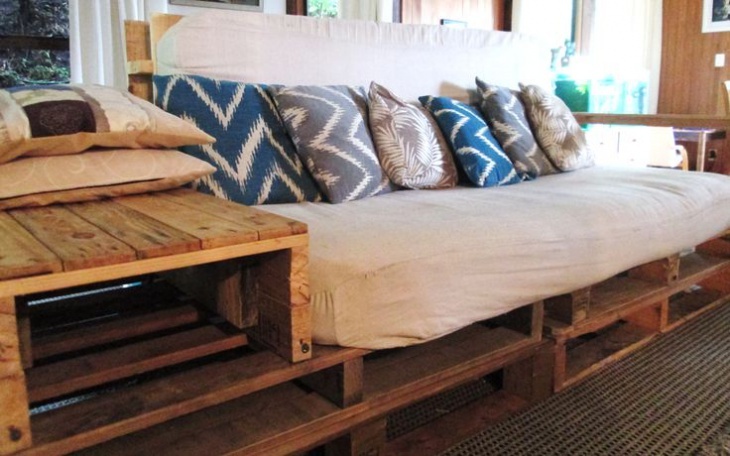 The pallet sofa can also double up as a side table. Hence, two things accomplished in one go. It not just saves on the spending cost but also curtails the floor surface area, and we know how important it is, being dwellers of small compact places. If you have an empty mantle area add some small planters and an affordable and simple black & white blueprint copy artwork. 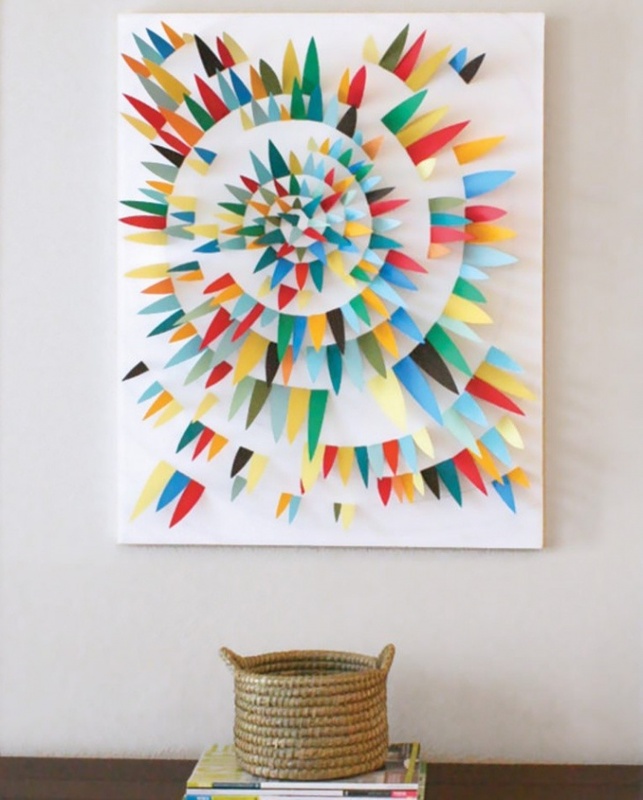 This simple artwork can be a mild and creative addition to your space. 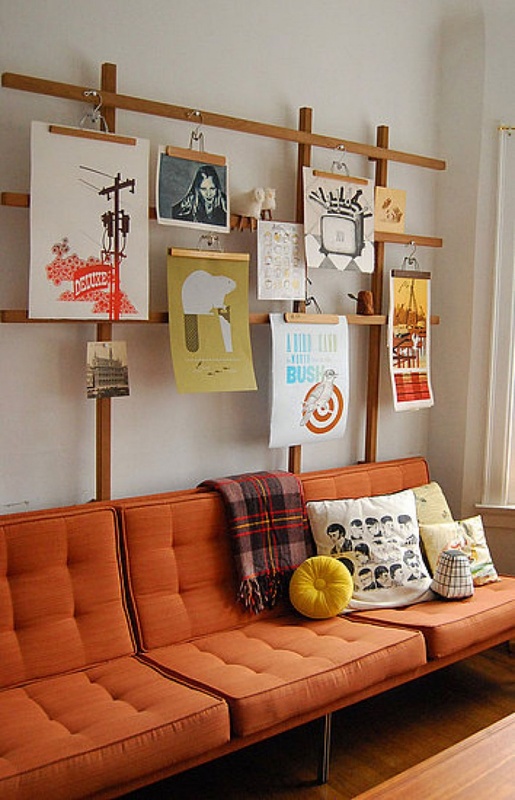 Pants hangers can be creatively incorporated as photo frames for your living room or bedroom. You can hang your drawings or photos on the hangers. Have a creative plan or set up for the placement of your paintings or photos. The result turns out better than it is theoretically described. If you miss headboard in the back of your bed. You can make a headboard in a matter of just 10 minutes. 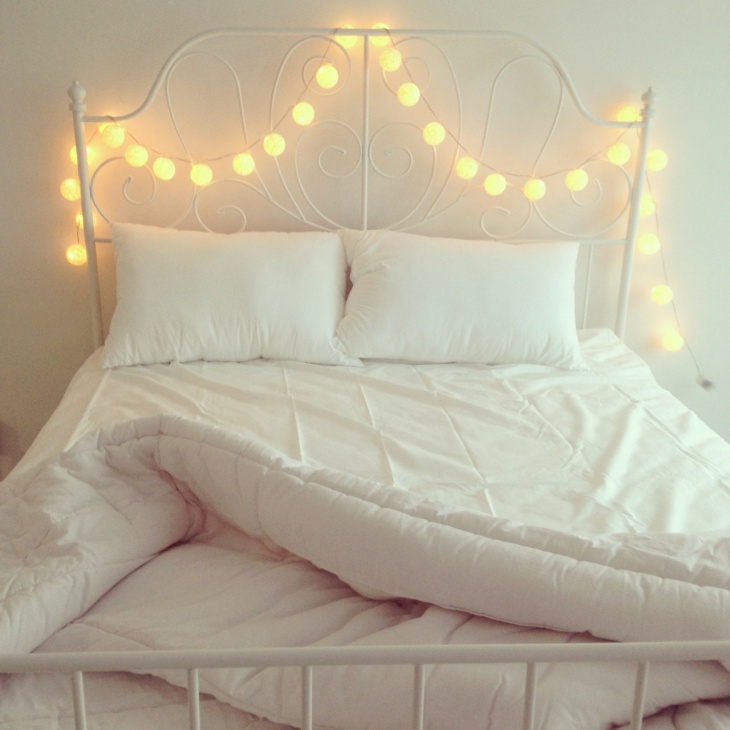 Decide on the shape of the headboard and stick the string lights against the desired shape, and voila! you are done. This outlined headboard gives you the desired appeal without putting much effort or money. Even if you live in small compact spaces, and live on a tight and fixed budget, there are numerous ways to decorate your space. Hope you enjoy these easy DIYs and love the transformation that your house will achieve with these simple additions and modifications.